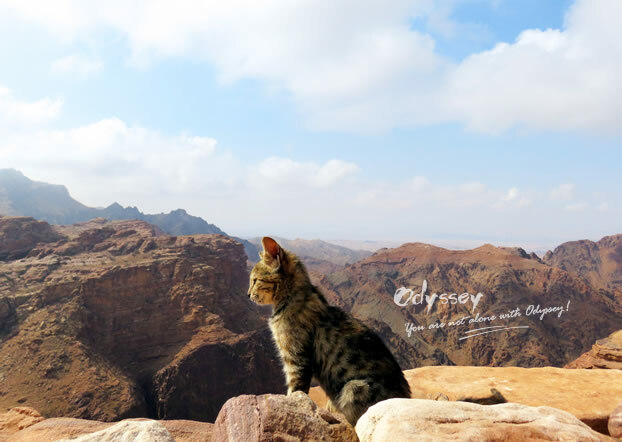 Sitting atop and looking down the valley, I was obsessed with a sense of unusual tranquility. The inner-peace we have been seeking all our life, I found it in Petra. 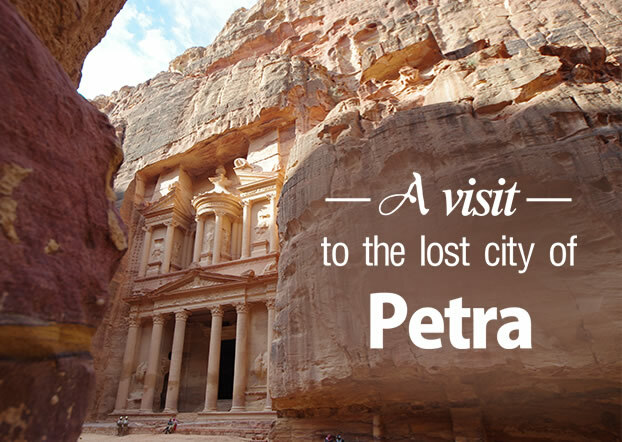 If there is only one place you can visit in Jordan, it must be Petra (“rock” in Greek), the legendary capital of Nabataean people once hid to the world and now, the most-visited tourist attraction in Jordan and the new 7th Wonder of the World. 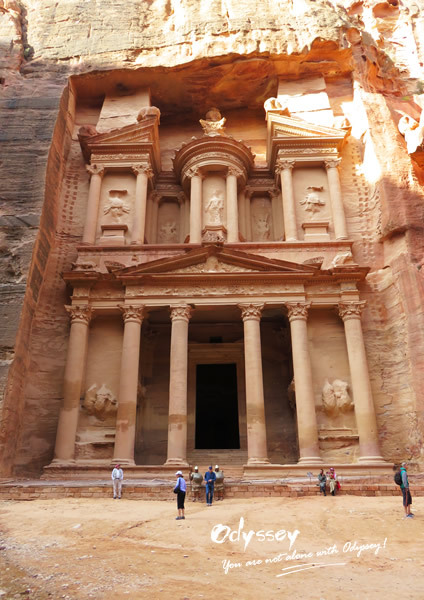 Our alarm was set at 6:00 A.M to make sure we were the few that strolled through Petra without big crowds. 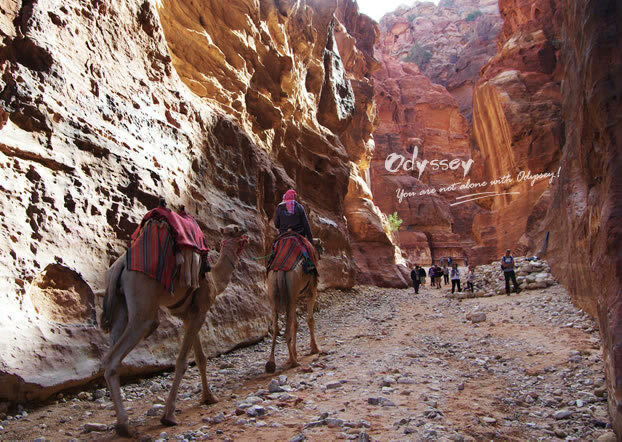 We walked to enjoy ancient water channels, Obelisk Tomb, Djin Block and many more before entering the Siq that marks the entrance of Petra. 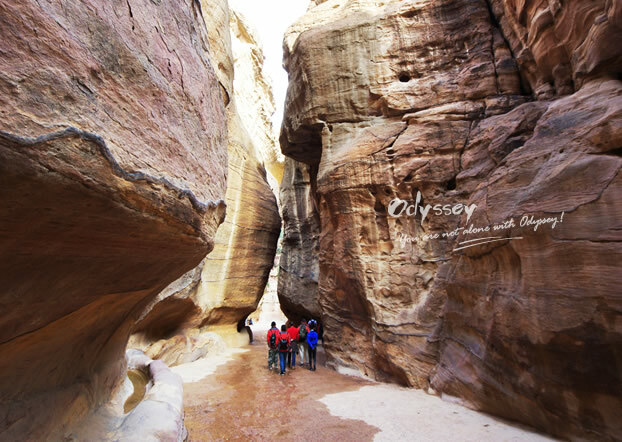 The Siq is a narrow, winding gorge which stretches for roughly 1.5km through cliffs. 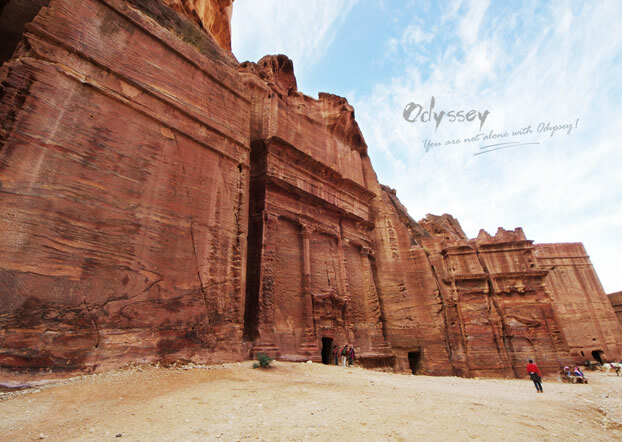 As narrow as about 5 meters (at some points 2 meters) wide, the walls tower up to 200 meters overhead, casting enormous shadows on the niches that once held icons of the gods. 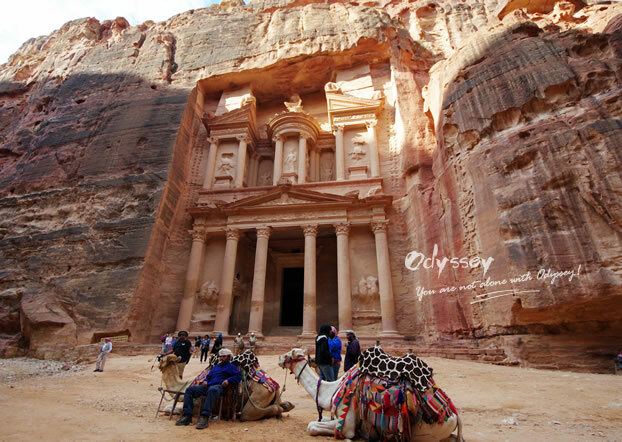 It takes an hour to arrive at Petra’s main attraction, the Treasury, from the entrance on foot. Though horse-drawn carriage is available, it is advised to take a carriage ride back when you finish the tour instead of at the beginning for the feeling of craning your neck to peek into the niches cannot be shared in the carriage! Doesn’t the scene look like some from the “Arabian Nights” tales? At the end of the Siq stands the impressive landmark of Petra - the towering, carved facade of Al-Khazneh (Arabic for "the Treasury") out of sheer sandstones established possibly as early as 312 BC. The scene appeared for numerous times on postcards, photography magazines and films became a reality in front of us. 43 meters high and 30 meters wide, bathed in the sunlight, it looked like something from a film set (Yes, 'Indiana Jones and the Last Crusade' was shot here). The true purpose of the building remains a mystery even today. 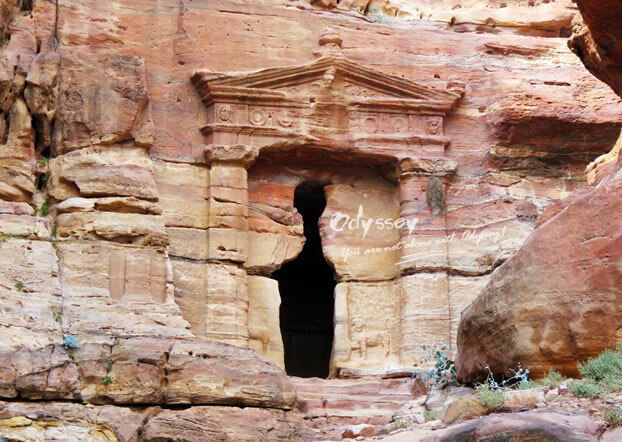 The facade is adorned with ancient god figures and it is more like a temple or a royal tomb than being a literally treasury. The Treasury is only the tip of the iceberg. The number of tombs increased as we continued down to the valley, making a giant graveyard in rock arching around. And here is the 4,000-seat Roman Amphitheater! Unlike the amphitheater we saw at Jerash and Amman, it is the only theater in the world carved into the rock. After the Amphitheater, the valley opens out into a plain and soon we found ourselves in the main city area, which covers about three square kilometers. This is where the city begins, first the Royal Tombs in the right, then signs of the once-living metropolitan area of 30,000 people, scattered around are markets, residences, streets and temples. 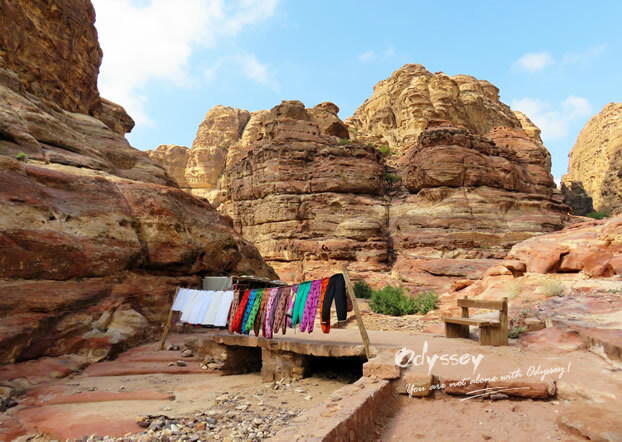 What a shame that many follow the main trail and end their adventure at Qasr bint al-Faroun ("Palace of the Pharoah’s Daughter" in Arabic), the only free-standing building in Petra which was almost destroyed in earthquakes. 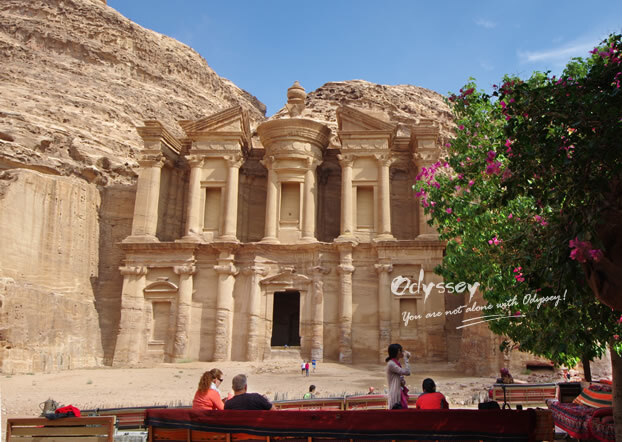 But we are determined to go up to Al Dier Monastery to truly experience Petra’s power. It takes about 50 minutes for us to finish 800 steps uphill, but the ancient path is easy to follow and not steep, so the climb didn’t cost us much efforts. You can hire donkeys as well. The Al Dier Monastery is very similar in design to the Treasury, just simpler and bigger with a width of 47 meters and a high of 48.3 meter. Unlike the Treasury, there were only a handful of travelers in sight, meaning you would have great photograph opportunities. The climb was well worth it: we were rewarded with a fantastic view of the deep valleys and rolling mountains. I put away my camera and relaxed for 15 minutes without any disturbance, only a lovely stray cat by my side. How I wish I could stay forever! Isn’t it sweet to have a little friend’s company? 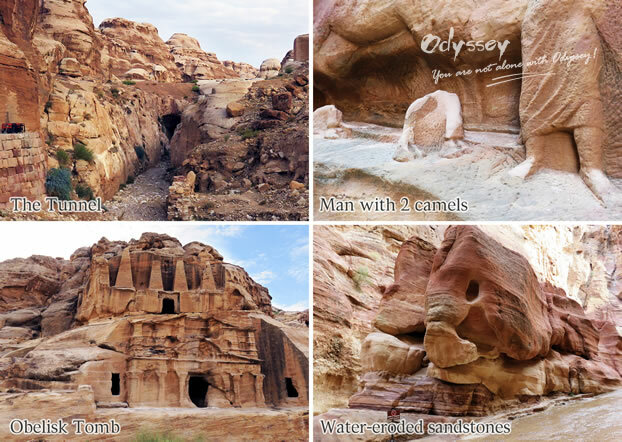 We had only scratched the surface of Petra in our 8-hour trip. There are many new stories to be told and mysteries to be decoded: archaeologists have explored only a small section of the sprawling site. 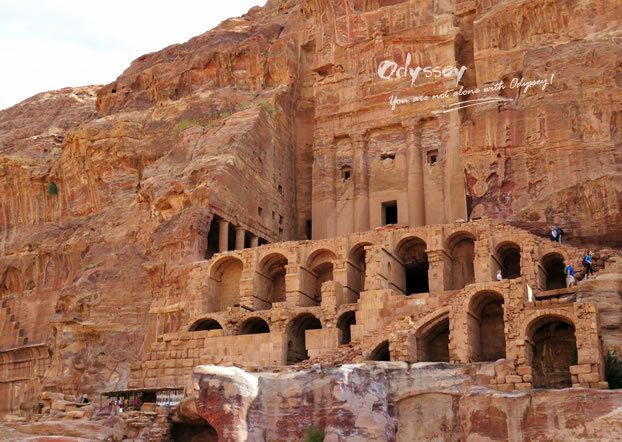 To be frank, Jordan might not have been on the top of my bucket list, but a visit to Petra has proved that I should have put it in the first place. 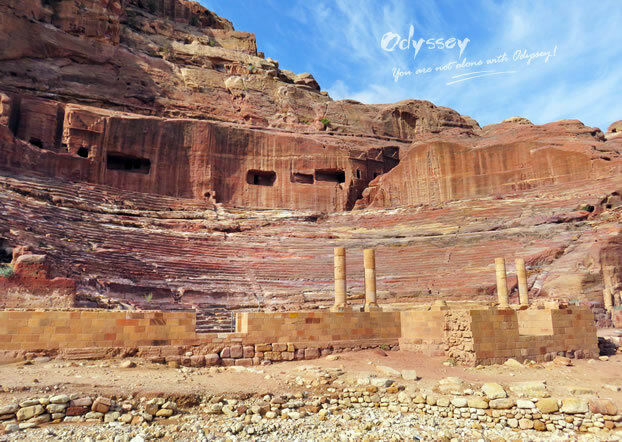 The day when Petra amazes the world again, I will surely come back. 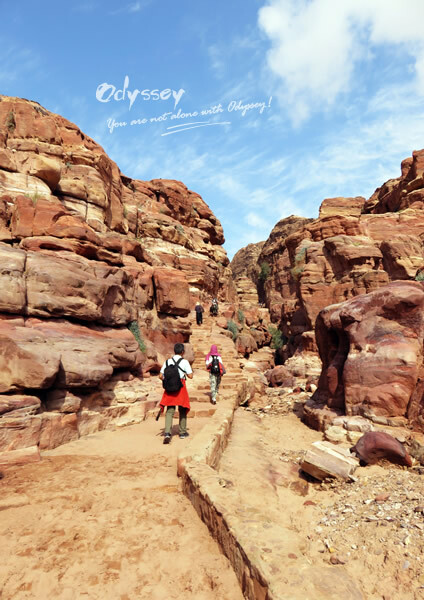 If you love nature, history and hiking like I do, welcome to embark on a wonderful trip to Petra through this tour inquiry form!